Many times unexpected treasures appear when exploring an old building. Such was the case in 2012 when Dave and Sarah Scott purchased an antique store housed in a former local hospital. 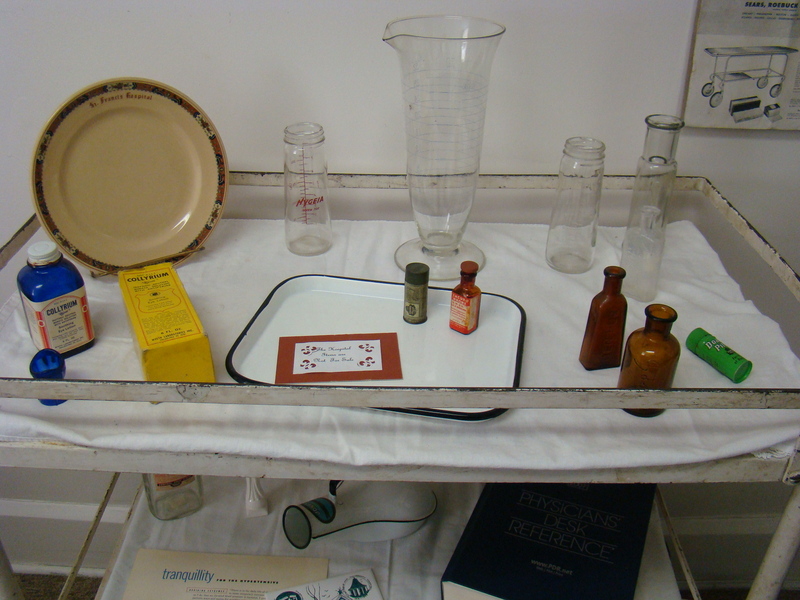 There in the corners and unexplored rooms, many items formerly used in the early hospital were discovered. 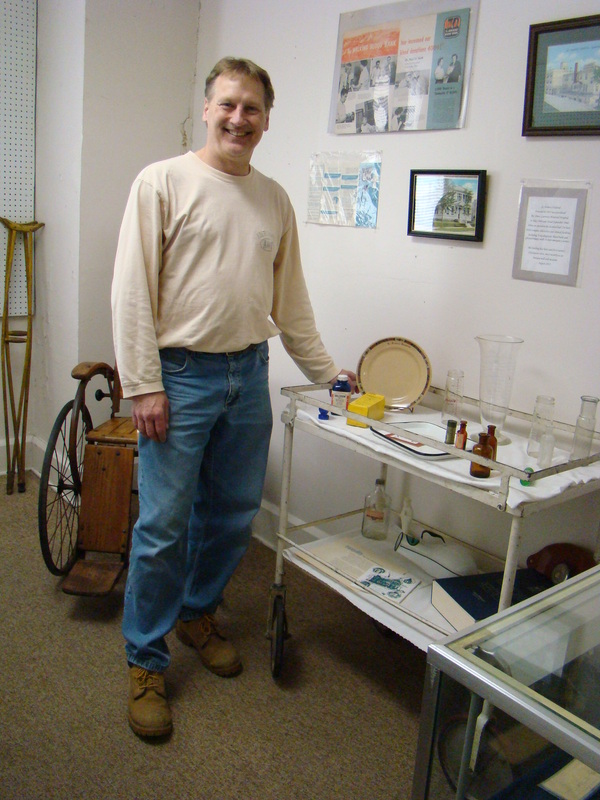 Dave Scott, owner, stands with medical supplies in their museum. At the present time, Dave and Sarah have dedicated one room of their Scott’s 10th St. Antique Mall to a place called St. Francis Hospital Museum. Nearly all of the items in the room are from the original hospital, having been found in the corners of the building. Dave Scott, owner, stands beside some of the medical equipment used during the days of St Francis Hospital. The crutches in the background were found in a room in the basement while exploring the building.Only two items, a wheel chair and a bed, have been purchased and both were from the same time period as when St. Francis Hospital was in operation. The Order of St. Francis Nuns began operating that same facility in 1945 as St Francis Hospital. After WWII was over, Dr. Paul Huth arrived in the area and took over as head surgeon at the hospital. The hospital received a boost in 1957 when Cambridge Glass Company selected St. Francis Hospital for all hospitalization of workers needing medical attention. All emergency cases were to be sent to the hospital as well, with Dr. Paul Huth named as company physician. 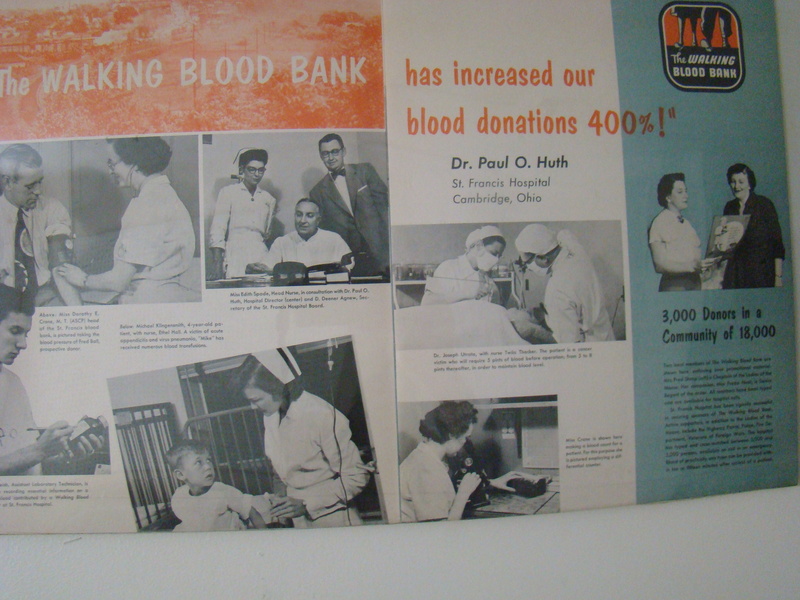 An old poster features familiar faces in our local medical world encouraging people to give to the blood bank…at that time a Walking Blood Bank. Dr. Paul Huth, the hospital director is shown with Edith Spade while Dr. Joseph Utrata is being assisted by Twila Thacker. Both Miss Spade and Miss Thacker served the community as nurses until recent years. 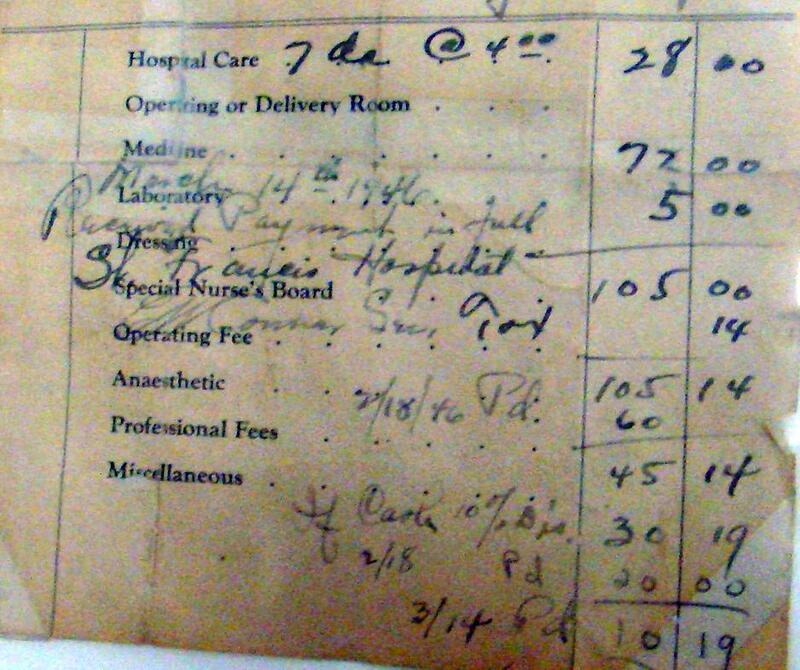 An interesting hospital bill hangs on the wall. It shows the costs for everything needed during the hospital stay. One surprising item was the cost of the room. The patient was there for seven days at $4 a day for a total room charge of $28. How times have changed! St. Francis Hospital was finally closed in 1968 with the opening of a larger, more modern facility, Guernsey Memorial Hospital. Today that hospital has been further improved and modernized and is now called Southeastern Medical Center of Ohio. If perhaps, you have any knowledge of St. Francis Hospital or pieces of its history that you would care to share with future generations, please contact Dave or Sarah Scott at their 10th Street Antique Mall. Who knows what could develop here? The St. Francis Hospital Museum is located in the Scott’s 10th St Antique Mall in downtown Cambridge. There is easy access as Cambridge is at the crossroads of I-70 and I-77. Wheeling Avenue is their main street and the museum is just a half block south of Wheeling Avenue on 10th Street. Was this also known as The Swan Hospital at one time? No, Judy, Wells Hospital is the only other name it went under that I know. Swan Hospital is located off Clark Street more in the direction of Southeastern Med. Thanks for stopping by for a Gypsy Road Trip.